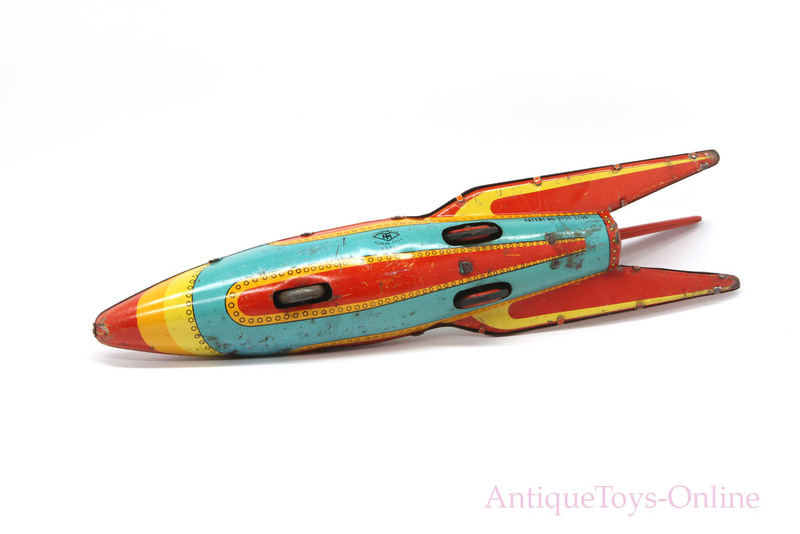 Our well loved MT or Modern Toys space rocket is a joy to share. It is a stout tin litho made in Japan around the late 1950’s. Colors are very contrasting and the design is a classic three fin toy rocket, and a bit similar to the German V1 rocket body design. 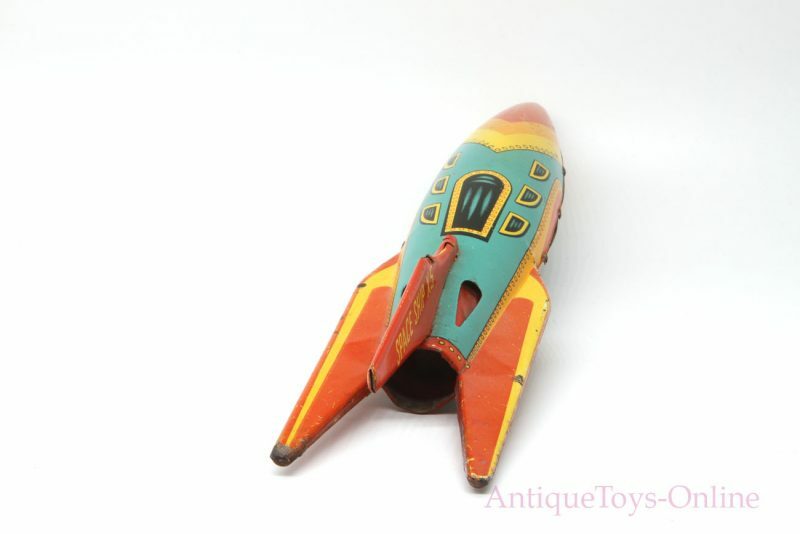 The toy is a friction rocket and a bit slow but it works. There is no flint inside or else it would spark underneath the red gel/plastic on back. There are spots of play wear and dark oxidation throughout. 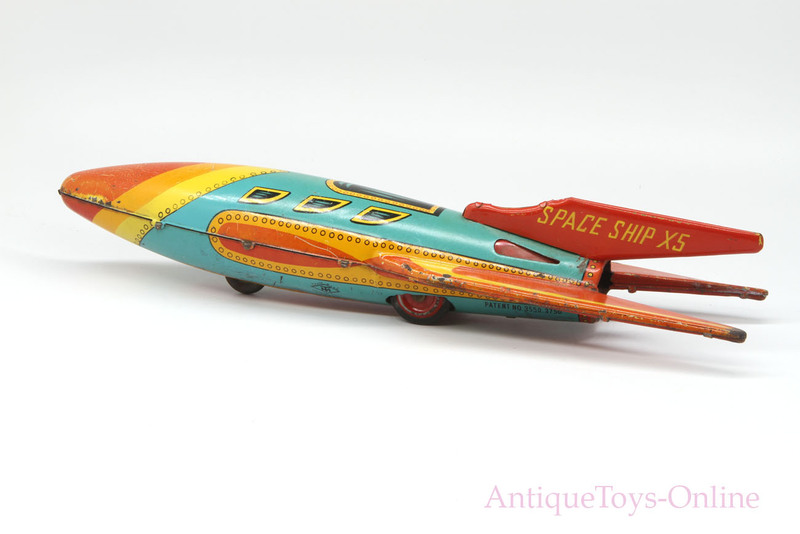 The “composition” of the lithograph is a great space-age riveted nose and fin design (simulated circles for rivets). We get a commander’s window on top and then six smaller “passenger” windows with angular designs to the sides. The rocket is even patented 3550 3750 which is likely a sparking mechanism. The most impressive aspect is the size of this toy. 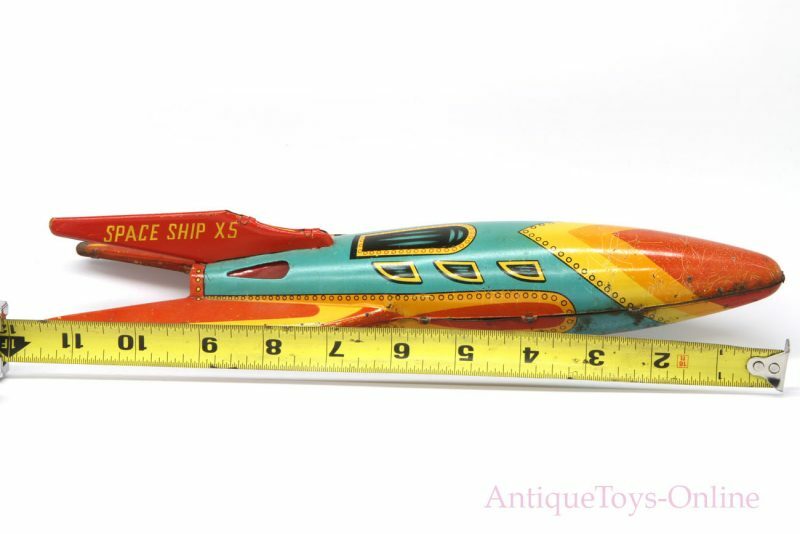 It is very large for tin litho rockets at almost a foot or 12″ as seen in the photo.